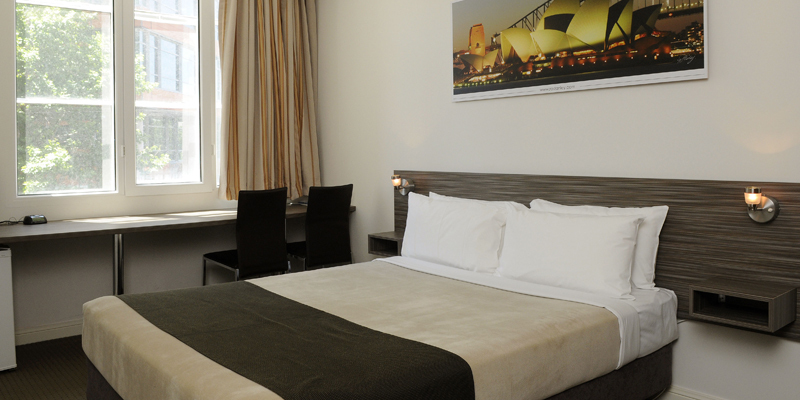 This is a great option for travellers who need a budget New Year’s Eve hotel in Sydney. 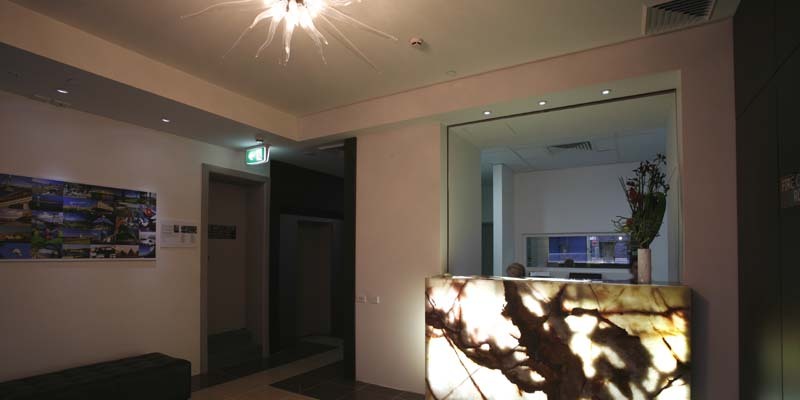 It boasts a great downtown address just a walk from Central Station, waterside dining at Darling Harbour, the full range of shopping from high street to haute couture and surrounded by transport links. There are buses, trains and light rail options to help you explore Sydney’s suburbs, events and concerts that take place on its beautiful beaches over Christmas and New Year. Regular trains from Central Station mean that the hotel is less than 10 minutes from the Sydney NYE fireworks and a whole host of events and celebrations in the Botanical Gardens, The Rocks and at the Harbour Bridge. An alcohol-free and family friendly programme of events for over 90,000 people is always a huge draw at nearby Darling Harbour. 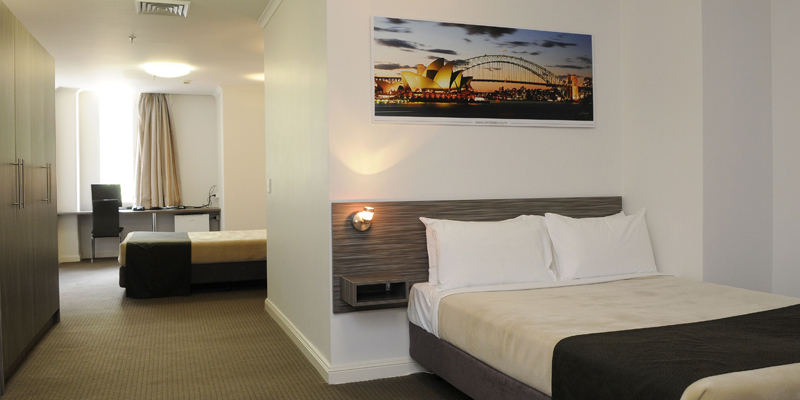 The budget Twin, Triple, Quad and Family Rooms at the Leisure Inn Sydney Central are all contemporary and sleek with air conditioning, LCD TVs and Foxtel and many feature rainforest shower heads to make these affordable NYE hotel rooms feel luxurious. Two Single Beds. WiFi, writing desk, air conditioning and Foxtel. One Queen Bed. WiFi, writing desk, air conditioning and Foxtel. Two Single Beds. Spacious room with WiFi, writing desk, air conditioning, city views, rainforest shower head, tea and coffee facilities and Foxtel. One Queen Bed. Spacious room with WiFi, writing desk, air conditioning, city views, rainforest shower head, tea and coffee facilities and Foxtel. One Single Bed over One Double Bed (bunk bed). Spacious room with WiFi, writing desk, air conditioning, city views, rainforest shower head, tea and coffee facilities and Foxtel. One King Bed. 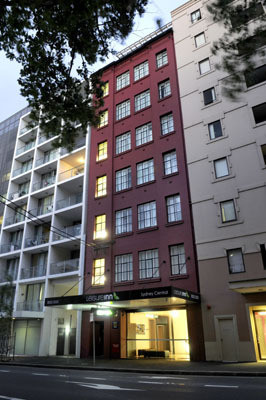 Spacious room with WiFi, writing desk, air conditioning, city views, rainforest shower head, tea and coffee facilities and Foxtel. One Queen Bed and Two Single Beds (bunk bed). Spacious room with WiFi, writing desk, air conditioning, city views, rainforest shower head, tea and coffee facilities and Foxtel. 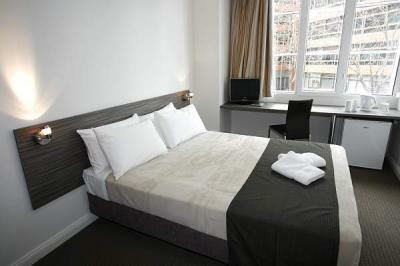 Two Queen Beds and One Single Bed. Extra large room with WiFi, writing desk, air conditioning, city views, rainforest shower head, tea and coffee facilities and Foxtel.